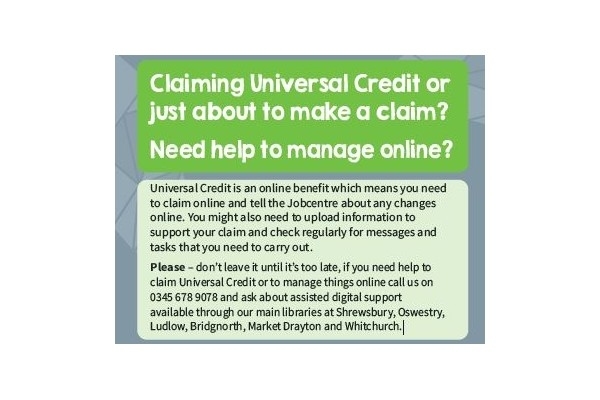 Universal Credit is an online benefit which means you need to claim online and tell the Jobcentre about any changes online. You might also need to upload information to support your claim and check regularly for messages and tasks that you need to carry out. So what is Universal Credit? • It replaces 6 existing (or “legacy”) means tested benefits for working age people which are: Income Support (IS); Housing Benefit (HB); Child Tax Credit (CTC); Working Tax Credit (WTC); income based Jobseeker’s Allowance (JSA IB) and income based Employment and Support Allowance (IR ESA).